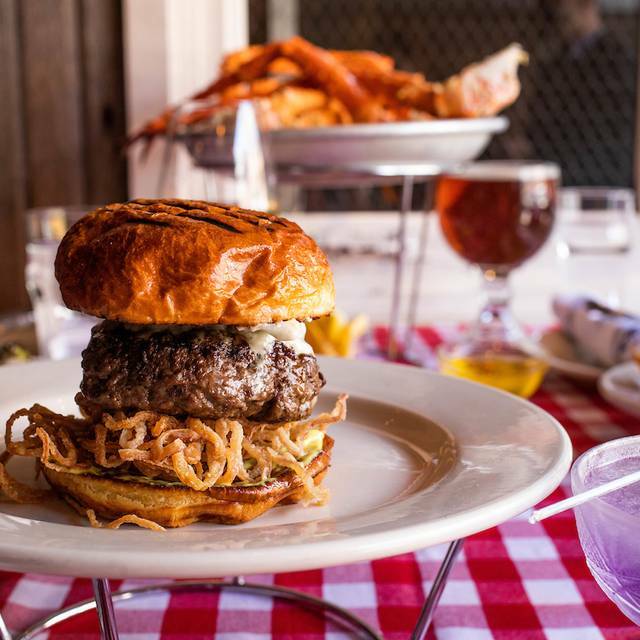 Welcome to Chicago's only unlimited Alaskan King Crab & Prime Burger Experience! 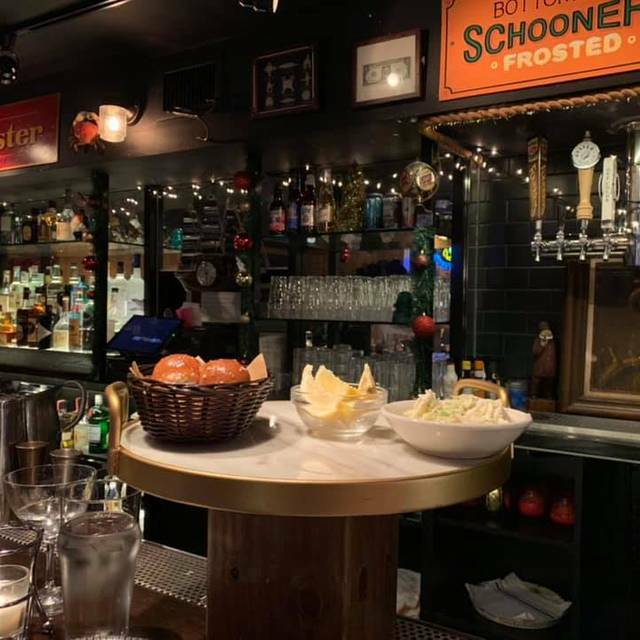 Located down the stairs at Oyster Bah in Lincoln Park, Crab Cellar is serving up the highest quality crab and prime burgers until you say, "when!" 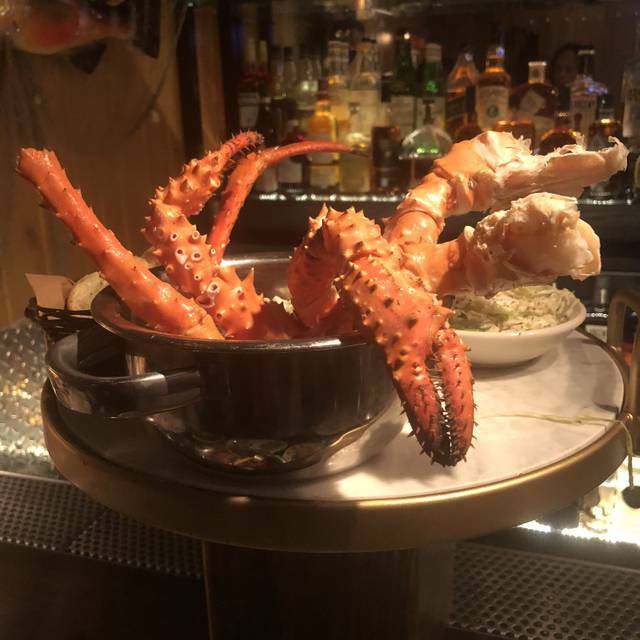 Crab Cellar is open for dinner Wednesday – Sunday, and for just $59.95 plus tax (gratuity not included) enjoy endless King Crab and Prime Burgers. Add on your choice of sides like Mac & Cheese, Boardwalk Fries, and Jalapeño Hush Puppies. Wash it all down with bottomless seasonal Slushies and frosted Schooners of craft beer! 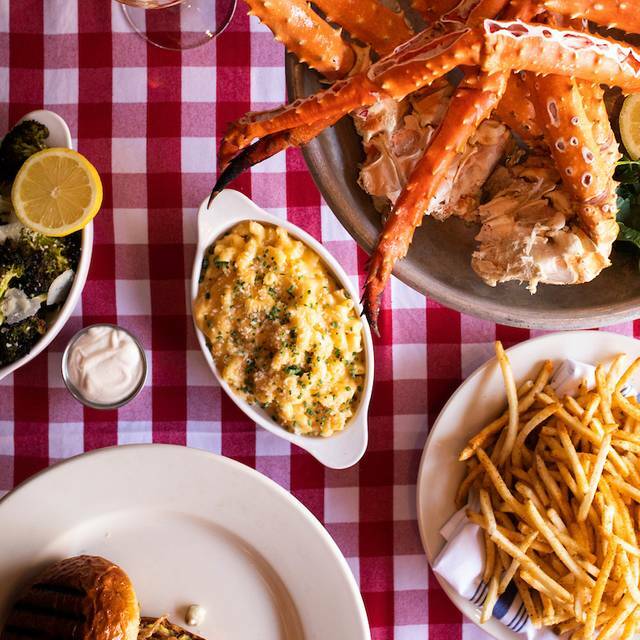 Please note, the price of the endless King Crab and Prime Burgers will increase to $69.95 per person plus tax (gratuity not included) on January 1, 2019. Looking for a party of 7 or more? Please contact oysterbahparties@leye.com! Street parking is available on Halsted and Armitage. Valet is available for $14. This was such an awesome experience, the food was great, our waiter was hilarious, and the drinks were on point. Excited to go back. It was so fun. Food and service was great! The food is amazing! Super friendly and helpful service team. We had a 7 pm reservation and had to wait about 15 mins. Definitely not a cheap dinner as in a casual let’s go out type of place but for the food quality, quantity (definitely quantity), and overall experience it was great! Cool very small spot with great staff and service. Phenomenal dining experience. The food was top notch and well worth the price. Our server was very attentive to our needs and we thoroughly enjoyed all of the crab, lobster and sides they kept bringing. Will definitely come back to Crab Cellar again in the near future. Besides the Gay guy with pretty feather hairstyle telling me and our guests we could not move to another table that was for 4 people also and being to combative with him while other guests were watching was the down fall. Other than that we wanted the food and stayed but wont be back again. Celebrated my birthday here! Everything was fantastic! Service was impeccable. Food was delicious. We had a blast. Such a great time. Totally recommend. Went to Crab Cellar with 3 friends - we love to try new restaurants and new food. It was absolutely fantastic!!!!!! Everyone was exceptional - bartenders, server, hostess. Food was amazing. I grew up on Cape Cod and the crab legs were to die for. Can not wait to go back. The burgers were incredible and the coconut cake is a must for all. Fantastic!!!! Outstanding. The crab is great, as expected. But the burger is even better and the hush puppies are off the chart. The space is intimate and fun without being too kitschy. Service was very friendly. Second time there and if possible, it was even better this time! The crab is fantastic and the service the best. It’s a small restaurant and very friendly. The manager was fun and our server, Sarah, was great. Can’t wait to go again! Great experience and food. You can not go wrong with the Crab Cellar. Loved this place will be back again.. the food is worth it!! Very pleased. Well worth it. Cody was amazing. He was quick and friendly. Really enjoyed myself. I will be returning. We sat at the bar and it took awhile for the crab legs to come out. So much so, that as soon as our first batch came out, we immediately asked for another. The crab legs were also over-boiled. It seemed like the kitchen hadn’t dedicated enough of their operations to churn out crab legs to meet demand. We loved concept, but not well executed. Most likely will not return to Crab Cellar, although we love Oyster Bah! Best kept secret......OMG! I've been twice in the past 3 months...our plan is to visit every other month. Overall good experience, unlimited crab and lobster are great. Service was good. But some of the lobsters were slightly undercooked. Took my husband here for his birthday and he raves it as one of the best meals he's had...ever! All you can eat king crab legs and burgers. Don't need to say much more than that. Buuuut you can get all you can drink beer schooners too! Quaint low-key atmosphere in the basement of the Oyster Bah. Great experience. The food, service and ambiance were very nice, but some of the crab legs were dry. The food was amazing, but food isn’t the only amazing part. The service was some of the best I’ve had. Kind, attentive, respectful with great food and great atmosphere. You can’t ask for anything more. The food was awesome! The service was amazing! I highly recommend this place! Went for NYE dinner with the all you can eat crab legs and filet! The food and service were both phenomenal! Definitely worth trying the fries and mac and cheese for sides! And the butter rolls were amazing. The staff mentioned this was their first time doing the filet, but it was so good, it felt like it was steakhouse quality. 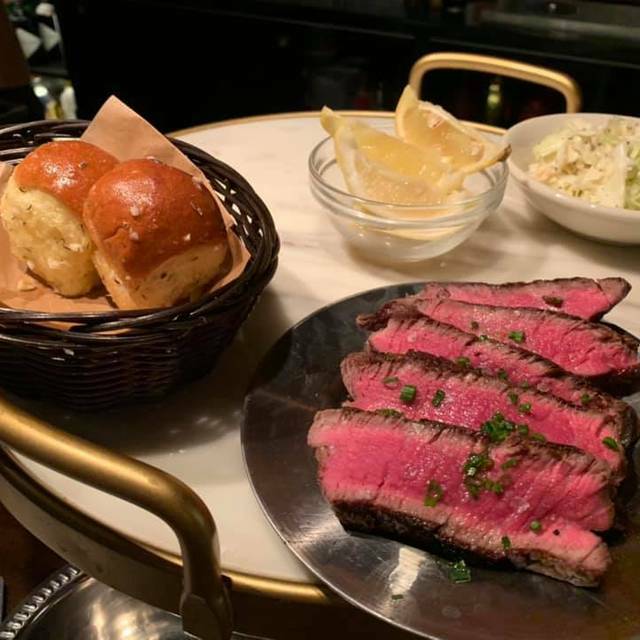 We come to Chicago 4-6 times each year, but came this time specifically for the Crab Cellar New Year's AYCE king crab and prime filet event (normally its prime burgers) and we were not disappointed. The crab & filet were cooked perfectly from start to finish. And, as great as the food was, the staff was even better, making our experience perfect. We also enjoyed meeting and chatting with Mr. Nevruz during and after our meal, he surely made our time, in from Memphis, very special, and we thank you. 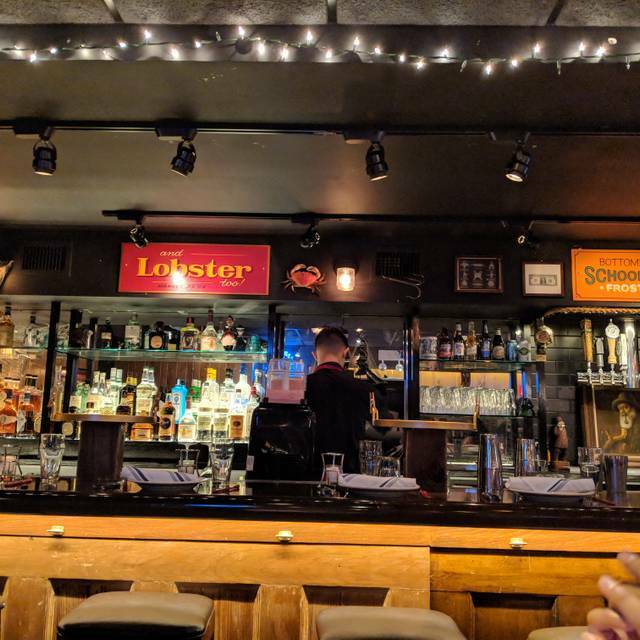 Crab Cellar is worth your visit. Be sure to alot yourself a few relaxing hours, relax, and enjoy this great establishment. You will not be disappointed. Great dining experience! The burger and crab was delicious. Great service and atmosphere. Highly recommend this place! Heard about this place from a friend, definitely worth it! Went on a special date night and we both loved it! 100% would recommend! If you love crab this is the place for you. Burgers were very tasty as well. Great deal and fun with friends. Overall a wonderful evening and good food. The waiter we had seemed to forget about a little (we asked other waiters for beer / food). Very accommodating and super yummy!!! Service was very good. The Crab legs were not the freshest and a little over cooked, but the burger was to die for. Killer house slushee, great sparklers by the glass, spectacular service and phenomenal food. A gem. Incredible value, and amazing quality + atmosphere! I'm a big crab lover and this place definitely scratched my itch. My only knock was that we had the absolute worst server ever. For a while we thought we might be on candid camera because it was getting so comically bad. It took our server 4 tries to bring us a burger with American cheese only and no bun.....and after 4 tries, we still never got the right burger! True story. Service aside....it was a fun place with great food and I would probably come back. This was my first time visiting the Crab Cellar. OMG WHAT AN AMAZING ESTABLISHMENT! I would recommend to any and everyone. Food, service and ambiance fantastic. 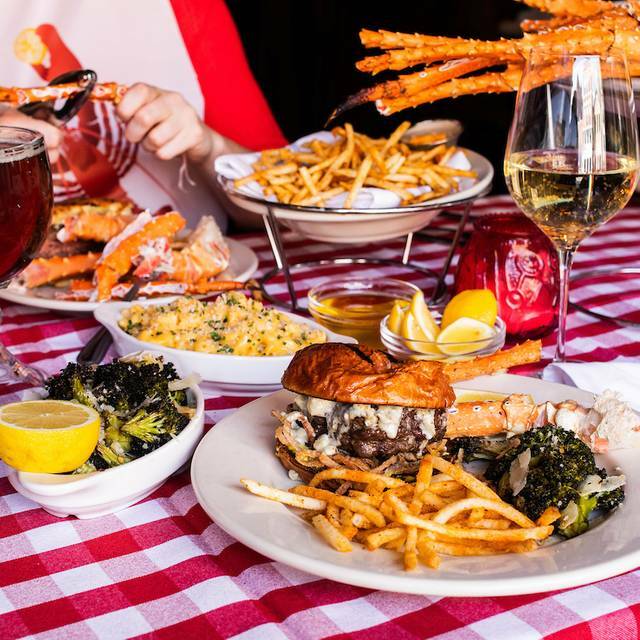 If you love crab legs, this is the place for you! Simply awesome!